Hunger doesn’t take a summer vacation when school food programs do. During the summer months, thousands of children lose access to breakfast and lunch programs, a critical source of nutrition. 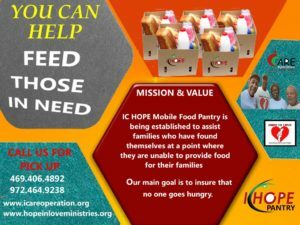 Hope in Love Ministries will host IC Hope food pantry once a month in the summer for children and their families, offering food at a central location. 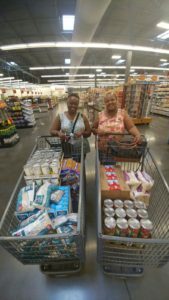 Join Hope in Love Ministries in the fight against hunger by making a tax-deductible gift today. Every dollar you donate provides critical support for food distributions throughout the summer to ensure kids and families receive the nutrition they need.